Have an idea that you want to launch and share with the world? Are you an inventor? If you have an idea or a product that you want to bring to life, it is important to know some of the legal terminologies to help you on your journey to protect your invention. You will need legal protection to establish your rights to protect your work, invention, and business. A patent attorney wants to help you be informed of the terminology and different legal aspects of bringing your invention to life. The word trademark may sound familiar to you. 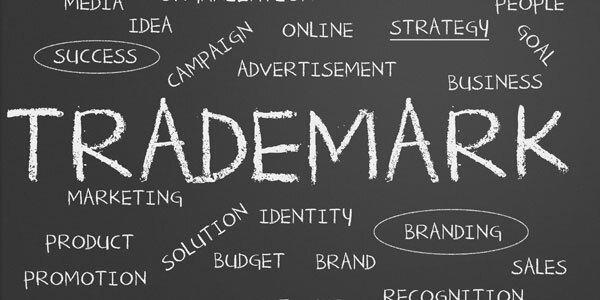 The word is mainstream, and you may have heard it on your television or through online searches,however, many people are unsure of what it means and why it is important to secure a trademark for your invention. A trademark can be a word, a slogan, symbol, design or a combination of all of these. A trademark symbol is used to distinguish your invention from all the others. A trademark is important because it is used to keep unfair competition from creating consumer confusion. A trademark also provides rights and different remedies to the owner of the trademark. Customers rely on trademarks as a symbol of trust. When a customer decides to purchase your product, they rely on the trademark as a standard of quality that is associated with your brand. Trademark keeps competition from trying to steal from the reputation created from your investment and hard work. Patent Lawyer USA can provide services to help you conduct a trademark search. A trademark search allows you to discover if your trademark is available. It also protects you from any potential litigation from other companies who may accuse you of infringing on your trademark. Registering a trademark is not required for your proprietary technology or other invention. However, a registered trademark does provide some advantages over a regular trademark. Federal registration of a trademark provides notice legal presumption of ownership nationwide. This is beneficial if you plan for your invention to spread nationwide. It also provides a notice to the public of your claim of ownership. This is important to remember when consider whether to patent, trademark or copyright your invention. A copyright is a type of intellectual property protection. It is a protection that is provided to original works of tangible authorship whether it is published or not. It is important to know that a copyright covers “forms of material expressions” and does not cover ideas, techniques, concepts or facts of works. The property that seeks copyright protection must be tangible. Copyrights are made to protect the effort, the time and the creativity invested by the creator of the work. A patent is another form of intellectual property protection and right. A patent process can be more daunting than a trademark or copyright because it requires more from the creator. The process can be lengthy. Before the process can begin, it is important to confirm that the idea or invention is yours and yours alone to avoid trademark infringement. To confirm, you can do a patent search to ensure that no one hasn’t already developed or invented your invention, process or formula. Your invention should be new, useful and it cannot be obvious to someone who is familiar of your invention in its related field. The claims of the invention. Claims of invention are the legal dimension and limits of your invention. Third, file your patent application and pay close attention to your filing deadlines. Keep track of your application in the Patent Office. Appeal any application rejection. This is a must do before worrying about market positioning. This process can make an inexperienced inventor head spin. However, you don’t have to do it alone. Patent lawyers have helped many investors secure their patents or other types of intellectual protection. It is best to choose a provider who has over 30 years of experience helping investors protect their businesses and protect their intellectual property. On your own, you may miss important paperwork or fail to provide adequate protection for your hard work. Worse, without adequate guidance, protecting your intellectual property takes longer because you may fail to secure the right kind of protection. That is why this is one of the hot button issues in business. An experienced team is familiar with the process of protecting your invention and ideas because it is registered to practice before the USPTO. Seasoned lawyers are ethical and practice with the highest standard of integrity to keep your inventions and trademarks safe.With a team of experienced lawyers by your side, you can rest easy that your ideas and inventions are safe from unfair business competition and idea theft.